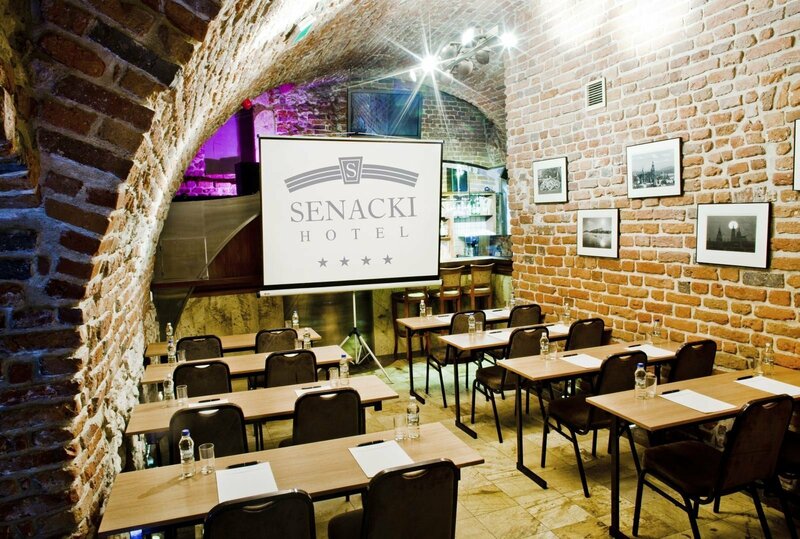 Especially for the business Guests, Senacki Hotel prepared a conference centre whose intimate décor and location in the historic basement make the organisation of training courses and conferences gain a different dimension. 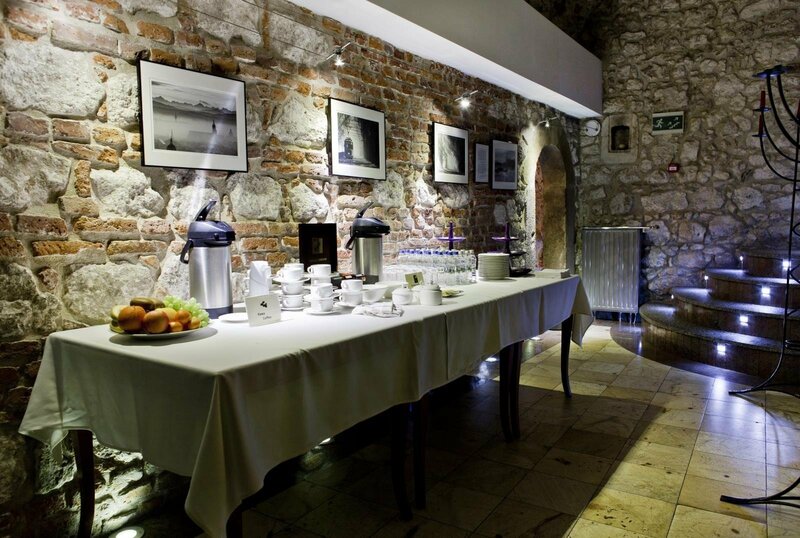 Multifunctional rooms equipped in a modern way are located in the basement of the hotel, which served as a storeroom and market stalls in the Middle Ages. Barrels of king's wine and honey were stored here. Medieval walls are still hiding history, inspiring to work and action. 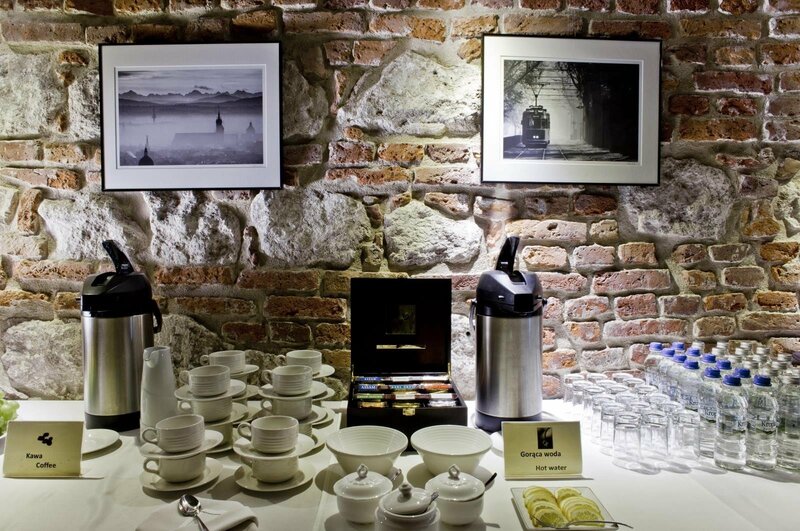 We provide full catering for our Guests during meetings. 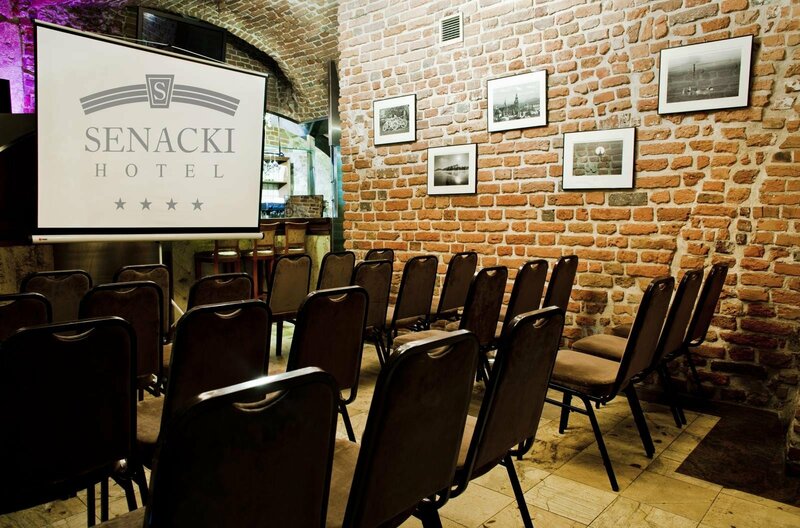 Multifunctional conference rooms Chrobry, Bona and Jagiełło have access to the Internet, both cable and Wi-Fi. 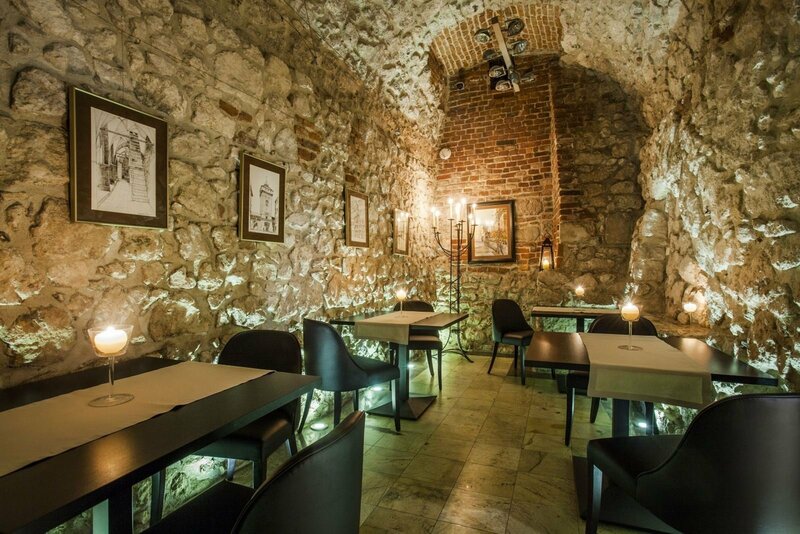 During training, meetings and conferences, as part of a break with a cup of tea or coffee, exquisite culinary delicacies in the form of Finger Food developed specially for this purpose are served in our historic, atmospheric basement. These are delicious appetizers to snack without cutlery – perfect during work. We organise lunches, conference dinners and private business meetings, and menu prepared for this purpose includes carefully selected dishes, served with top-notch liquor. We leave to our Guests the choice of the form of serving meals – more or less formal, in the form of a buffet or long feast.